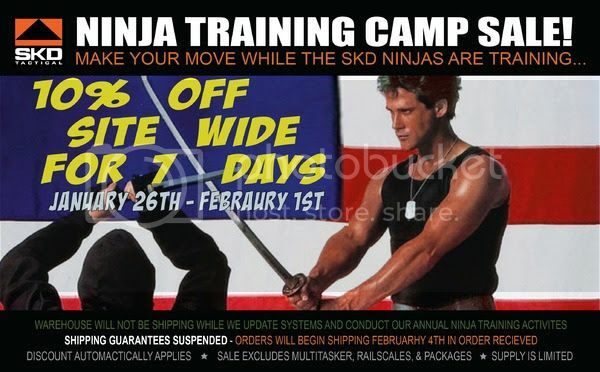 Next week our warehouse will be shutdown while our Ninjas conduct winter training. Ice immersion, throwing star quals and snow ambush field exercises will be on the menu for our 2019 Ninja Training Camp. Please enjoy 10% OFF Site Wide while we train! All shipping guarantees will be suspended during this time. Orders will begin shipping Feb 4th in the order they were received. Thanks for your patience and understanding! 10% all week through Friday. Shipping will resume on 4 FEB 2019.